OFF THE WALL special program will be hold in several festivals around Europe and America during 2014 and 2015. The idea is to share the human experience of living in Eastern Europe with the audiences in the West, in order to establish a better understanding and dialogue between the two sides of the continent. The aim of the project is to present the work of a new generation of filmmakers from countries with a long history, facing a new reality. It’s to draw attention to the recent history of a fundamental part of Europe, taking a fresh look but with the heritage of a long tradition in cinema. 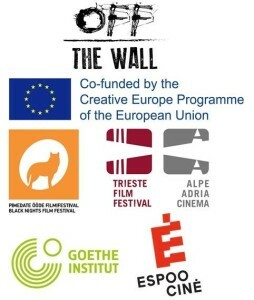 OFF THE WALL gathers different films around a strong concept and appealing topics, emphasising their qualities and value while raising interest in Eastern European films among new audiences. Therefore, the main objective of the project is to increase the visibility and accessibility of new and emerging European filmmakers from smaller countries for Western European audiences.